Castaway Island at TY zero entry swimming pool. 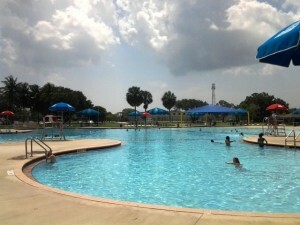 The heat has turned up for certain and many of the local water parks have reopened for the summer. (and no I don’t know why they close for the winter. ) You can check out the Water Play section under the Reviews section on the blog for a list of our favorite ways to get wet in South Florida. There are many Spring Earth Day events coming up in the month of April so be sure to check the calendar! This entry was posted in Florida, Weekly Lists and tagged Boca Raton, cb smith, coconut cove, Fort Lauderdale, lion country, Palm Beach Zoo, Pompano Beach, South Florida, Splash Pad by Cynthia Buckley. Bookmark the permalink.